So how’s the Food Patriot Act working out so far? 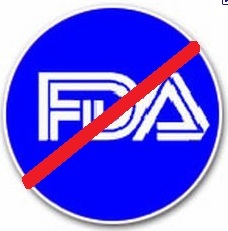 Another armed food raid – this time on a company that provides nutritional supplements primarily for autism spectrum disorders and Alzheimer’s disease – another day under the Food Safety Modernization Act. As predicted, the FSMA is turning out to be a deliberate plan to wipe out small (under a million dollars a year in sales) and medium-sized (under $10 million a year) producers of natural, wholesome food and supplements. This is what happens when corporations run governments. Small scale producers of meat, raw dairy and veggies, and dietary supplements are under continual attack by food giants who have placed their former employees in positions of power and authority. It’s a waste of taxpayer money, and the stated goals won’t be achieved. In its rush to enact sweeping new food safety legislation during the lame-duck session, Congress hit a procedural roadblock that may put the bill off for at least another year. User fees added to the Senate version run afoul of a constitutional requirement that tax measures originate in the House. That’s good news for consumers because this expansion of Food and Drug Administration regulatory authority would waste billions of taxpayer dollars without making our food supply any safer.